Samsung Electronics, under its Corporate Social Responsibility (CSR) initiative, announced donation of multiple Samsung Ultrasound machines to the Jinnah Hospital Karachi. The Samsung Ultrasound machines will support the hospital and alleviate treatment of the poor and underprivileged citizens of the city with free access to ultrasound services at the hospital. An inauguration ceremony took place today, at the Radiology department of Jinnah Post Graduate Medical Hospital (JPMC) Karachi where Samsung announced to donate 3 units of the latest color Doppler’s Samsung Ultrasound machines to the hospital. The announcement received tremendous response from the audience. 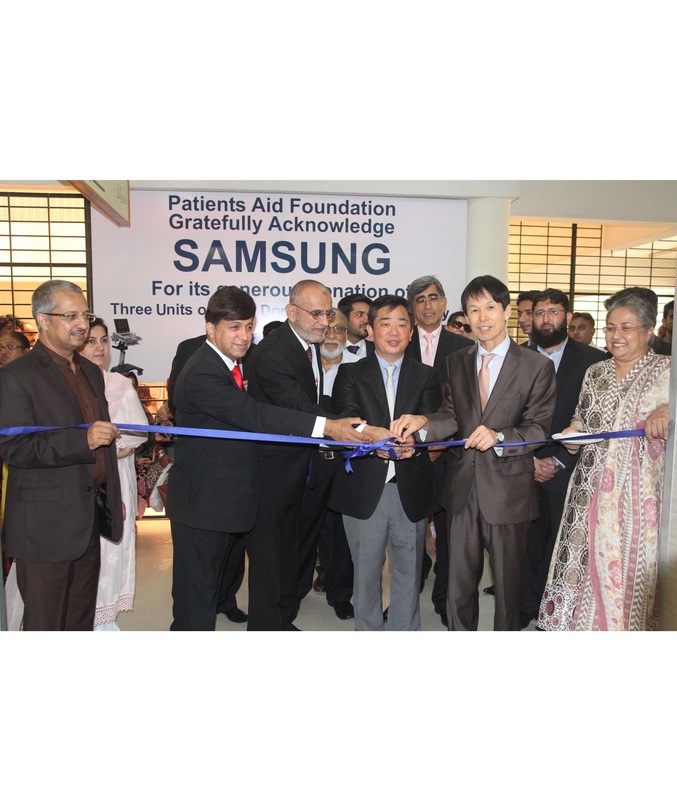 [info]Mr. John Park Vice President Samsung Electronics Pakistan; HE Mr. Chang Hee-Lee, Consul General, South Korea; Mr. Mushtaq Chhapra, Chairman Patient Aid Foundation; Mr. Yunus Bengali, Patient Aid Foundation; Prof. Tasnim Ahsan, Executive Director JPMC; Mr. Tariq Mahmood, Head Radiologist JPMC, Mr. Rauf Moosa, MD-MRM Samsung CE Business Partner; Mr. Kamran Nishat, MD-M&P Samsung Mobile Business Partner and Mr. Latif Hakeem, MD, Green Tech Samsung Mobile Business Partner, were the notables present at the event. [/info] [blockquote cite=”Mr. Park”] A company’s success is not measured by its business achievements only, but also by how well it serves the communities. Samsung has remained a consistent supporter to the vulnerable sections of the society. As a responsible corporate citizen, health is one of our key focus areas. Samsung endeavors to contribute generously for the treatment of poor and underprivileged patients suffering from serious ailments. The development of Samsung ultrasound labs in JPMC Karachi is one of our continuing efforts to support the underprivileged in Pakistan as a humanitarian cause. Apart from the free ultrasound service, we will also train the technicians and grant them the privilege of becoming Samsung’s certified Ultrasound technicians. An ultrasound scan Color Doppler Echocardiography is a painless test that uses sound waves to detect diseases of all parts of the body including heart vessels at an early stage and also used for treatment of many diseases. Samsung is playing a major role in Pakistan in contributing for philanthropic causes. The company has setup primary and secondary schools in Kasur and Faisalabad along with establishing Technical labs; 41 in Punjab and 18 in Sindh.